After careful review of the evidence for Kinder Morgan Trans Mountain Expansion Project, the Vancouver Economic Commission (VEC) reiterates that the potential economic and environmental risks outweigh the potential economic benefits. Furthermore, the VEC has reservations about recent claims that the business community is in consensus about the proposed economic benefits of expansion. The VEC believes in the importance of the climate change imperative from both an economic and business investment perspective. Since 2010, the Vancouver Economic Commission (VEC) has been actively engaged with the business and investment communities in exploring ways to reduce our greenhouse gas emissions and overall environmental footprint while growing their business. The progress on this front has been very encouraging. Despite claims from other organizations representing segments of the business community, we can state with confidence that a large portion of the Vancouver business community is very concerned about the consequences of a Trans Mountain Pipeline expansion. It is disingenuous and misleading to claim that the entire business community wants an expanded pipeline. What they really want are clean-energy alternatives and the acceleration of the transition to a low-carbon, resilient and diverse economy that is based on renewable energy. The Intergovernmental Panel on Climate Change and experts such as Mark Carney and Lord Stern have determined that the world cannot safely or profitably continue to exploit fossil fuels. Expanding fossil fuel infrastructure at this stage would lock Canada and Canadian business into hosting expensive stranded assets. The clean energy revolution has already begun despite weak regulations to accelerate its growth. The global economic trends are telling us that the future is renewable energy and any investments into fossil fuel mega-projects risk not getting paid off. Instead, what is needed is further investment into renewable energy technology and infrastructure and the supporting policy framework to accelerate the adoption and transition. This clean energy direction would better support Canadian industry. In 2015, the VEC attended COP21 in Paris to witness the restoration of Canada’s reputation on the global stage. Supporting the GHG reduction targets is critical to Canada’s reputation as a progressive destination to conduct business and invest. Keeping Canada’s brand strong is an asset to all of us who conduct business in markets around the world. And transitioning to a low-carbon economy, fast, is a way to protect and even enhance that brand. In 2013, the VEC commissioned the world’s first literature review on the Economic and Biophysical Impacts of Oil Tanker Spills, later published in the Ecology and Society journal. In 2016, the City of Vancouver commissioned a study to calculate Vancouver’s brand value and the potential economic impacts of oil tanker spills. In evidence submitted to the National Energy Board, they concluded that even a small spill would risk Vancouver losing over $1.1 billion (3%) of brand value. A medium or large spill would risk losses of $3–4 billion (10%) of value – vastly outweighing any economic gains for Metro Vancouver and B.C. In business, brand matters. As mentioned at the beginning, the VEC has been working on the green economy since 2010. We do this in a variety of ways including running programs to support cleantech innovators and innovation and to engage the business community in learning the benefits of lowering their environmental footprint while increasing their profits. 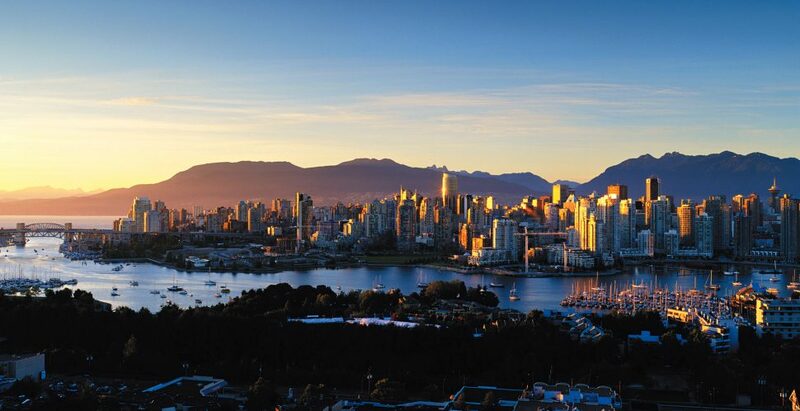 Today, Vancouver is enjoying unprecedented growth. Green jobs are growing at an annual rate of 6.8% (sustained over the past 3 years), and our construction industry is adding millions of square feet of LEED Platinum commercial towers to accommodate our unprecedented growth in technology, cleantech, and digital entertainment sectors. Our country-leading economy continues to grow (averaging 3.5% over the past 5 years) while we reduce greenhouse gases. In fact, GHGs have been reduced by 15% (18% on a per capita basis) since 2007. Vancouver has seen record amounts of private capital deployed over the last five years, with a record $21.5 billion in investment seen in 2017 alone. Clearly, going green has not slowed down our economy and it certainly has not made Vancouver and B.C. less attractive for investment. Let’s accelerate this good work. We believe that we need to get behind supporting a comprehensive plan to accelerate our transition to a low-carbon, resilient and inclusive economy. We need to move faster on the implementation of meaningful and impactful change for the benefit of our future.